I am honored to serve as the Faculty Senate President for the 2018-2019 academic year. I extend my thanks and gratitude to last year’s Senate officers for their leadership and I look forward to working with this year’s Executive Board members and all of the Faculty Senators in this important element of faculty and shared governance at UNA. The role of the faculty in the university community is of the utmost importance. As faculty members, we are the interface between the academy and the students. Together with our students, we are the academy. We fulfill the mission of the University of North Alabama. 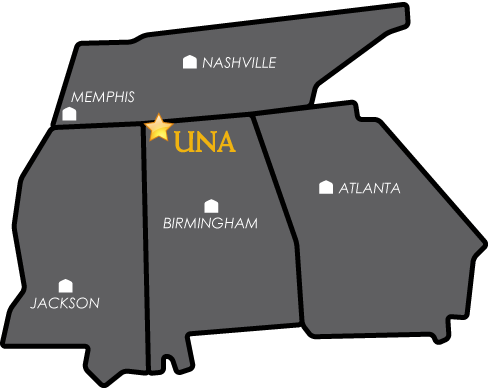 As individual faculty members and collectively as the Faculty Senate, we are an integral part of the Shared Governance system at UNA and we have the responsibility to ensure that the faculty voice is heard on all matters facing the university. It is my hope that our Faculty Senate will continue to be proactive in advancing the academic mission of the University. To that end, I invite all of our faculty members to be involved in shared governance on campus. Be aware, talk to your faculty senator, speak up and let your voice be heard.